Wix Site Builder (Legit) Review!! 50 Good Work From Home Jobs For Retirees And The Elderly! 20 Ways To Make Your Youtube Video A Success!! 10 Online Scams to Stay Away From! The Importance of Passive Income!! Don’t Talk to Friends and Family about Business!! Making Money Online With Amazon! “All About” Phone Call From Recruiter Scams! “All Avout” Debt Collector Phone Call Scams!! Although Facebook has decreased in popularity for the younger generation, it has remained an essential business tool and overall money maker. 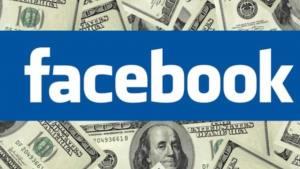 If used correctly, Facebook can be an excellent source of income. To help you take advantage of this income generator, I have compiled a list of the best top 5 ways to make money with Facebook. Facebook Ads involve spending money to make money, but it allots an opportunity to have paid posts, or advertisements, receive more attention on your followers’ timeline. The ads act like sponsored posts, but they are set by you rather than other businesses. If you have an online business website and want to drive traffic from Facebook towards your site, you’re able to do so through creating posts advertising your products or services. If you advertise one of your products or services and it enticed someone to click on the post, it means that person is interested in what you advertised. This allows you to have potential buyers increase your customer conversion. Although this aligns with Facebook Ad’s if you have your own online business, this can also apply to those without a business. If you don’t have an online business, but consider yourself an avid Facebooker, why not make money out of promoting other business websites? Facebook is all about posts and money can stem from the people that click on those posts. 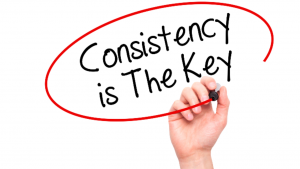 Some websites will pay per click for people that work with them to post a certain amount of posts each day/week. These websites offer a price to you to advertise their products or services through your page. Surprisingly, the Facebook Marketplace is usually very successful. 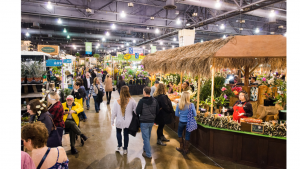 If you post something you’re selling on the marketplace, people looking for similar products in your area will be able to further inquire about your item(s). You’re able to sell nearly anything on this platform, while listing the condition and picture of the item(s). It’s important to price compare with sites like eBay or Craigslist to ensure you have properly priced your item(s), but people will also be able to negotiate prices with you. It’s a simplistic process and you can list if you want the person to pick up the item(s) or if you’re willing and able to ship them to buyers. If you have a large following on Facebook, referrals could generate large amounts of income. People are more inclined to click links from people they know because it establishes credibility. If you post your experience with specific products, websites, or services that interest your followers, you can share your referral link so they have an opportunity to sign up for it. 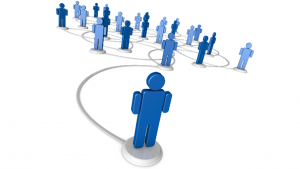 Often times, referral links provide an incentive to you when someone simply creates an account. For example, if you share your link for Airbnb or Travelzoo, they offer money towards your next trip or activity on their site for each person that signs up from your link. Referrals are a great way for businesses to expand their following, with minimal effort from you other than merely sharing your link. 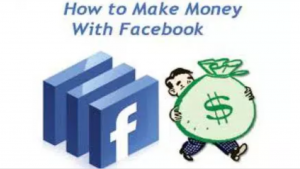 This way to make money with Facebook is a lot more advanced and requires a certain level of experience, but can be a full-time career if you have the skills for it. If you have invested time into studying social media and can provide expertise for other businesses that need someone to manage their social media page – you could work as a social media manager for a business. Social media managers handle all marketing techniques for businesses pages. As a social media manager for a Facebook business page, you are placed in charge of posting day to day posts relating to their business, with the intent to increase audience engagement and customer conversion rates. This marketing strategy is beneficial to the business that you work for, while offering you a high paying salary. 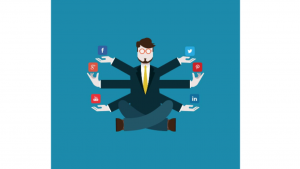 Some of the best social media managers make nearly $70,000 or more a year! For these top 5 ways to make money with Facebook to work, you must be active on your Facebook page and post regularly. There are a variety of ways to make money on Facebook, these are simply some of the top ways. Regardless of which method you choose, it’s important to ensure that you connect with your target audience in your posts. Within that connection, you must be sure you post enough to build a connection with your audience and take advantage of your presence on Facebook. You want to consistently come up on your followers’ timeline, without crowding their timeline – make them look forward to your posts! Facebook doesn’t have to remain solely something to pass your time; make it profitable with one of the 5 ways listed. Tired Of Being Scammed? Click here To Read My # 1 Recommendation! Do you have something to comment on, about your experience with making money online with with Facebook? Maybe Something to add about your success or failures with this Facebook lifestyle? If so, please take the time and leave your comment at the bottom. I would love to hear what you think! Thanks for reading my post, and good luck with your success! Posted in Free Tips and Tricks! !, Other Legit Ideas, The "All About's"
I have some limited experience with Facebook marketing, but I’ve only used it as a marketing intern marketing someone else’s campaigns, on their budget, not mine. So your advice is very fresh to me. 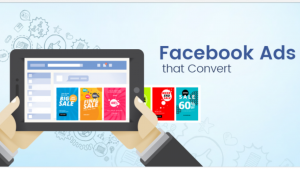 I can see a lot of potential in Facebook ads in promoting a blog or an ecommerce store. I still need to take that move, but do you know if you can effectively start marketing your page without paying for ads? I know the boosting helps, but can you make advances without paying? I’m also interested in the Facebook Marketplace. I’ve heard about it often, but I’ve only ever used Ebay and Craigslist. How does it compare? Would you say it’s better for localized selling than Let Go, Offer Up, or Craigslist? Thanks for the good advice! I’m not sure if you can advances without paying. Seems like anything worth it now in days, isn’t free. And I would say Facebook is better. I would say all of them work well, when it boiled down to localized selling. Hope this helps out Jordan. Take care.. This post is super relevant. 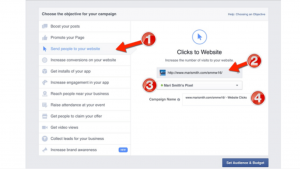 I personally see a lot of benefit with facebook marketing products over social media. I think it can be a lot easier and profitable if the right strategies are put in place. thank you for sharing. Your very welcome usadigitaloff. Good luck with your success!! Financial Aid Scams-College Bound Students Beware!! Scholarship Scams-Don’t Become A Victim!! Student Loan Scams-Don’t Be A Victim! Online Dating Scams-Taking As Much Money From You, As Possible!! Debt Collector Telephone Call Scams!! Infomercial Scams: Distinguishing What’s Real From What’s Fake!! Fake Prizes And Sweepstakes: How They Work And How To Protect Yourself! Wujiang Textile Co. LTD: Scam or legit? Is TextBookRush Legit Or A Scam? Does Wealthy Affiliate Really Work? Legit Work Online. Real & Valid Reviews!